TFT (Tester for Triplestore) is a PHP script to pass tests through a SPARQL endpoint. TFT can pass the official W3C validation tests but also your own tests. 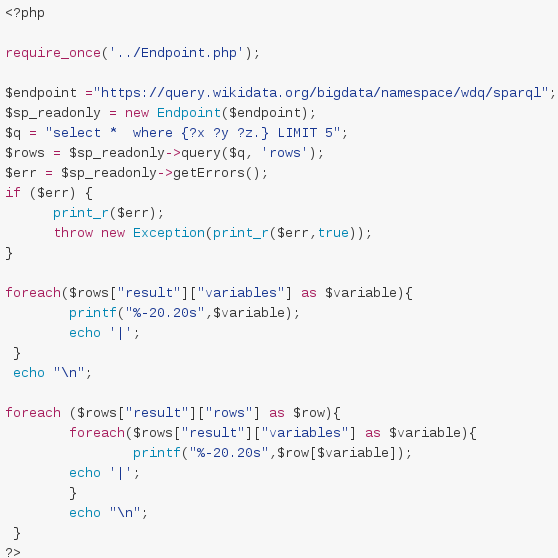 The lib PHP for SPARQL is very simple to use ;) You can read/write data in a RDF database with SPARQL endpoint. The LinkedWiki extension for Mediawiki permits to print Wikidata or any other source directly into your Mediawiki via a simple SPARQL query. 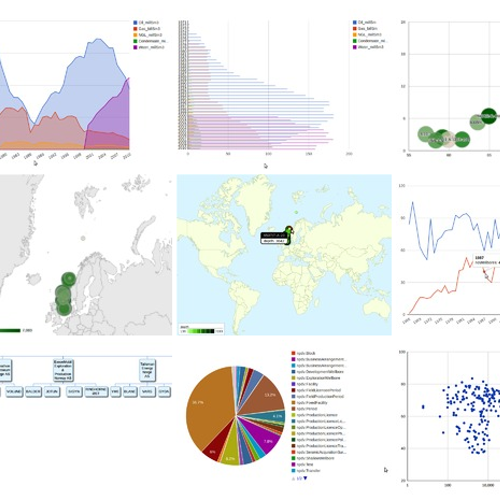 Sgvizler2 is a Typescript project where the developers can write SPARQL queries inside HTML elements to print charts in HTML pages. 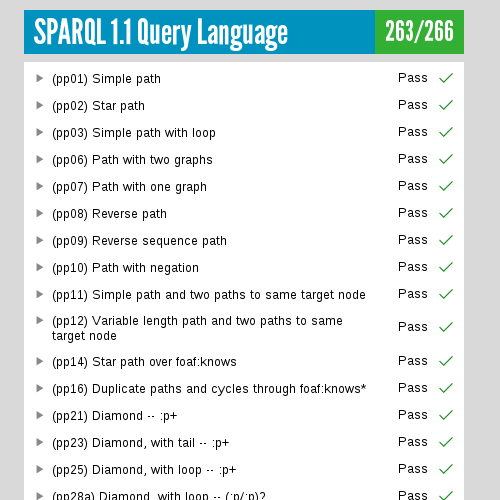 In March 2013, the W3C recommended SPARQL 1.1 to retrieve and manipulate decentralized RDF data. The TFT (Tests For Triplestores) project tests the interoperability of SPARQL endpoints of RDF database systems. To help developers and end-users of RDF databases, a demonstrator is available where we perform daily tests on several commercial databases. With these tests, we have built a scoring system named SPARQLScore. 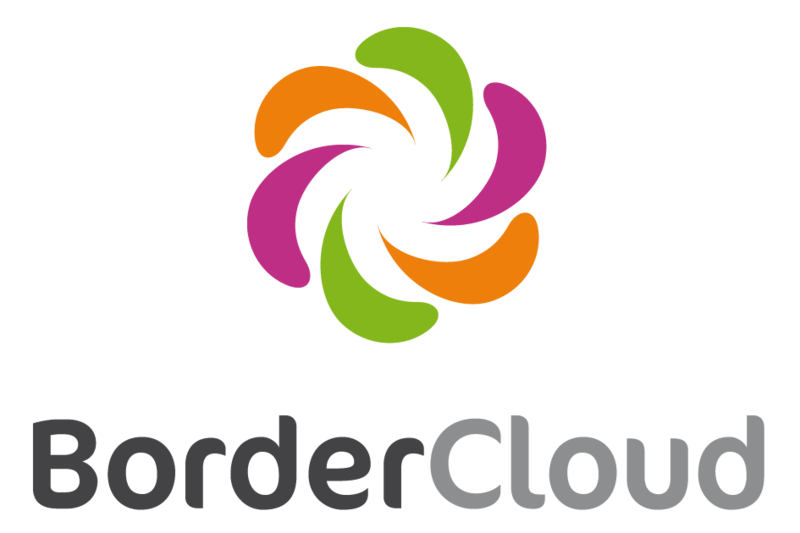 All BorderCloud tools use this simple lib PHP for SPARQL. The code has to stay simple and we try to stay compatible with RDF databases by meeting the SPARQL standard requirements. The LinkedWiki extension for Mediawiki allows connecting the notes to the Wikidata ontology or to RDF graphs directly in your Wiki. 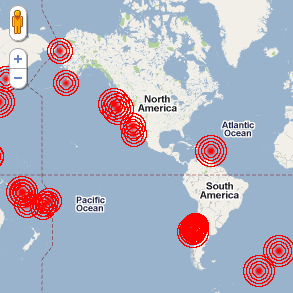 With this extension, users can write a SPARQL query directly in a Wiki page. The query can be edited using a query editor. Then, the query result is inserted into the page.